Announcement Welcome to my shop, Sonoran Nouveau. You'll find unique creations of artwork inspired by the sonoran desert where I was born and raised. 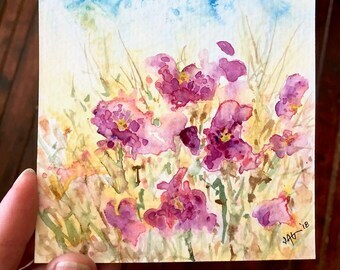 My creative repertoire includes acrylics, watercolors, color pencils, pastels, and clay. I also create street art for Chalk Mural Art Festivals. You'll find available for purchase some of my original design paintings created as reference for the chalk murals. I am also on Etsy under JudithArnaudGary where I sell my clay creations, open since 2010. Here’s the link if you’d like to visit: https://www.etsy.com/shop/JudithArnaudGary. Welcome to my shop, Sonoran Nouveau. You'll find unique creations of artwork inspired by the sonoran desert where I was born and raised. My creative repertoire includes acrylics, watercolors, color pencils, pastels, and clay. I also create street art for Chalk Mural Art Festivals. You'll find available for purchase some of my original design paintings created as reference for the chalk murals. I am also on Etsy under JudithArnaudGary where I sell my clay creations, open since 2010. 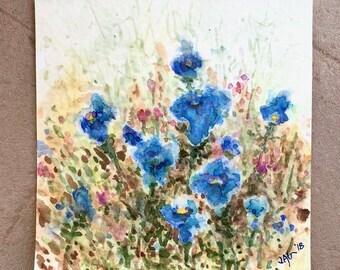 Here’s the link if you’d like to visit: https://www.etsy.com/shop/JudithArnaudGary. 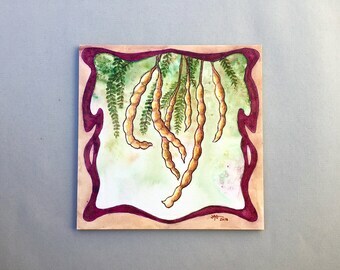 Original Watercolor Painting on Paper - Sonoran Desert Art - Miniature Painting - ACEO or ATC - Southwest Fine Art - "Agave""
Original Watercolor Painting on Paper - Sonoran Desert Art - Miniature Painting - ACEO or ATC - Southwest Fine Art - "Mesquite Roots""
Companion painting to my other purchase. Love the colors and style. A colorful painting that really popped when framed. A great little piece that was a perfect fit in its intended spot. 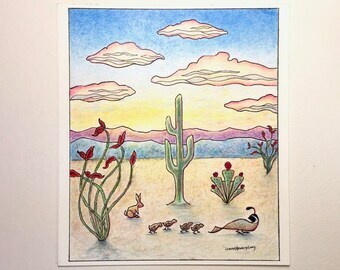 Original Watercolor Painting on Paper - Sonoran Desert Art - Miniature Painting - ACEO or ATC - Southwest Fine Art - "Desert Walkabout"
“Mesquite Roots”, a watercolor in the making: First some rough sketches in pencil, then scribbles of color swatches with color pencil for deciding on color scheme. Then the watercolor fun begins . Click on the picture to visit the listing. 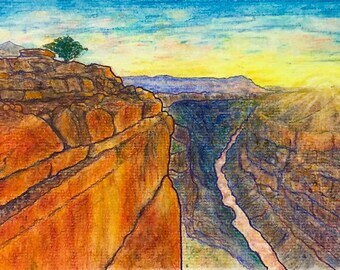 Grand Canyon, pastel with color pencil painting. I participate in chalk art festivals and create color studies for possible large chalk murals. This may be the next one I create. The original is available in my shop, click the picture to check it out. Chalk mural, Little Italy's 2016 FESTA, Michelangelo's David, 8 ft x 8 ft. The original study is available in my shop. Chalk mural in process for S.AZ Art and Cultural Alliance, 2017. 6'h x 5'w. The original study is available in my shop. Agave Queen mural, SAACA Chalk Festival in Phoenix AZ 2016, 6 ft x 8 ft. The original study is available in my shop. Chalk Mural of the Grand Canyon on 6' x 6' framed canvas, SAACA Chalk Art Festival, April 28, 2018, Phoenix AZ. Chalk mural, Oro Valley Holiday Show 2017, 8'x8' street art on asphalt. I have always had the drive and need to create. But besides the need for creating, I hope to evoke a response and participation from the viewer. Viewers add their own perspectives and experiences when interpreting artwork. The artist, together with the viewer, bring a work of art to its fruition. I have found Etsy to be a wonderful way to reach an incredibly wide audience. It's also wonderful to view other people's creations. It's a great community of "hand makers" and people who appreciate the "hand made”. I also create street art for Chalk Mural Art Festivals in Arizona and California. The original chalk or color pencil paintings created for the murals are available for sale. The tradition of the Chalk Art Festivals originated in 16th century Renaissance Italy when artists began transforming pavement into canvas using chalk. The artists were called “madonnari,” after their customary practice of creating chalk paintings of the Madonna. Today, artists worldwide are continuing this ancient form of expression. I have pictures in the About Section if you’d like to see the murals and more info. I work in my home studio in Tucson, AZ. I create with clay, painting, drawing. I am greatly influenced by the beautiful desert surroundings where I was born and raised. My goal as an artist is to capture the spirit and energy of the world around me.